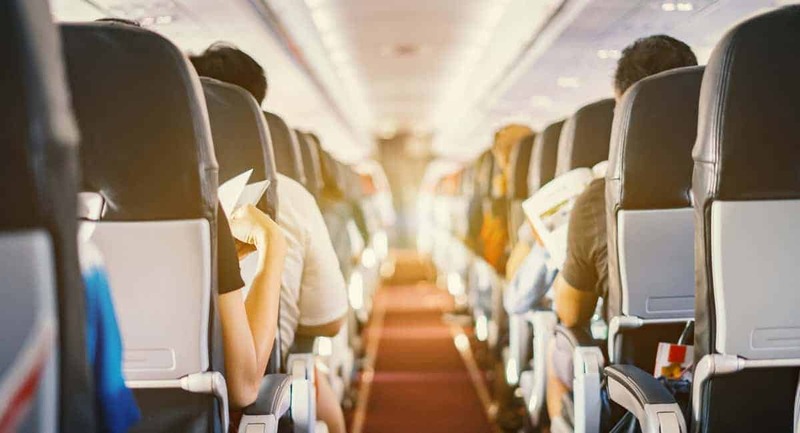 If you’re a veteran vape enthusiast or new vaper getting ready to embark on a trip, you’re likely asking yourself one big question: Can you bring a vape on a plane? Luckily for you, the answer is an emphatic “Yes!” but not without a few caveats. To make traveling with your vape as low-stress as possible, we’ve put together this simple guide on the subject. Here are a few essential things every vaper should know before they head to the airport. Before you decide to skip the whole thing and just throw your rig in your checked bags to avoid the hassle, pump the brakes. Putting your vape in checked baggage is a big no-no. The main reason for this is the presence of batteries. Having batteries in the luggage bay presents the risk of a fire, which is very much not ideal on a plane. Carrying your vape with you means that any potential crisis can be averted before it gets out of control. This means you’ll need to take your whole vape rig with you onto your flight. The one exception is if you’re transporting large amounts of vape juice. As a rule, any amount over 100ml will need to go in your checked baggage. As stated above, you can definitely take your vape in your carry on bags, but not without some rules. For one thing, 100ml is the most vape juice you can bring. This is without exception and applies to any liquid you bring into the cabin of the plane. It will also need to fit in a clear plastic liquids bag. As far as liquids are concerned, you’re rarely going to find something that exceeds 100ml anyway. Most vape juices that you can get from places like VaporDNA come in much smaller amounts. You’ll also want to let TSA security know that you’re bringing a vape with you so that they’re not caught off guard. Have all of your equipment out and ready to be run through security. Keeping your rig in a separate bag makes this process much easier for all parties. Keep in mind that some airlines might have different or additional regulations than the universal TSA ones. Be sure to check into airline-specific rules before assuming anything. The final question you likely have is whether or not you can actually use your vape on the plane. The answer to this is definitely not. This is more or less universal. Unless you’re a hyper-elite aristocrat traveling on a private jet, vaping in the cabin is always a no go. Can You Bring a Vape on a Plane? Yes! Hopefully, your question of “can you bring a vape on a plane” was adequately answered. With this knowledge, you should be able to fly with your vape with no hassle. Now that you know your vape can be your travel buddy, make sure your vape experience is top notch. Read on to learn about the hottest new vape flavors of 2019!